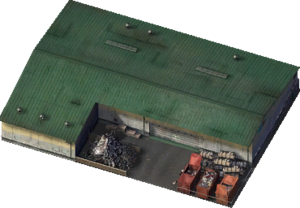 The Recycling Center is a utility building that consumes Garbage. The Recycling is a special Sanitation Building as it only consumes 20% of the Garbage of a population of 25,000. Large cities will need several Recycling Centers in order to see any benefit at all from them. Recycling Centers are considered the environmentally friendly method of handling your garbage, but due to their very limited capacity you will still need to rely on an inherently less environmentally friendly Sanitation type like Landfill, Waste to Energy or Incineration and small cities will not be able to afford a Recycling Centre in most instances. This page was last modified on 12 January 2014, at 10:01.